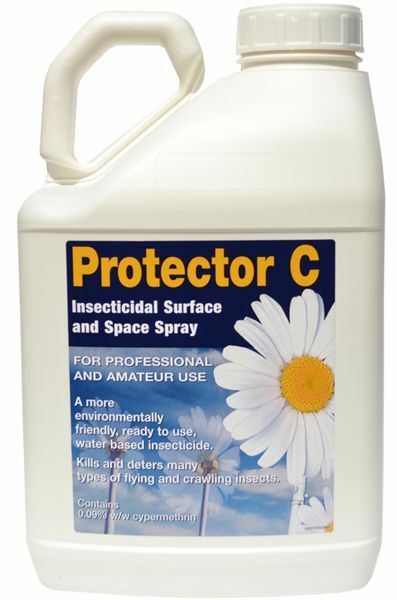 Protector C Woodlice Killer is an insecticidal surface and space spray for professional and amateur use. A more environmentally friendly, ready to use, water based insecticide. Kills and deters many types of flying and crawling insects. For best results we recommend using a Pump Action Pressure Sprayer for accurate application of insecticide spray. Pest Expert Formula 'C+' Woodlice Spray kills woodlice fast and leaves a residue that offers long-lasting woodlice control. This ready-to-use insecticide is safe for direct application to work surfaces, kitchen units/sinks, bathrooms and other cracks and crevices which may be harbouring silverfish. A five litre trigger spray covers 100 sq m.